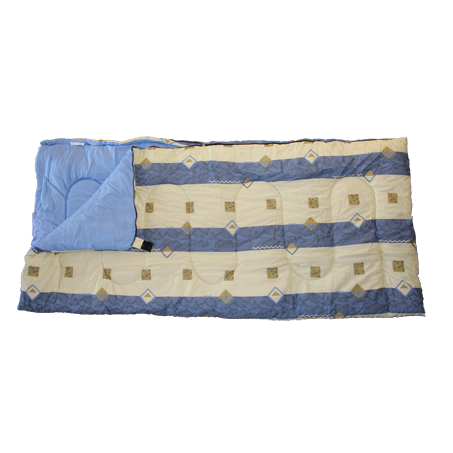 The Royal Umbria Sleeping Bag is made from 80/20 polycotton material, ensuring that it is of a high quality and designed to last. The soft hollowfibre filling of the sleeping bag will keep you warm and comfortable when the temperature drops, but it is also designed to be used all year round, including in warmer months. For your convenience, sleeping bags of the same type can be zipped onto this one to make a double, ensuring that it is adaptable for couples or those who like a bit of extra room. Also available in Burgundy.